Tree removal, tree pruning and tree maintenance can save you money on your property portfolio. We are a family owned and operated local Brisbane business. 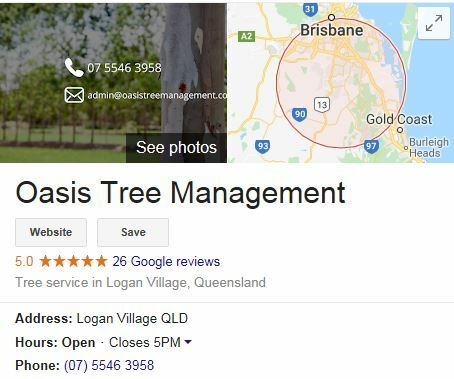 Providing professional tree removal and tree management services to Brisbane’s commercial and domestic market. We are passionate about what we do, and even if it means we eat into our profit we will suggest the best remedy for your circumstances. Real Estate agents are trusted by owners to take the best possible care of their property. A good real estate agent will ensure that they respond to any issues at the property, a great real estate agent will get ahead of the problem. It stands to reason that when you are renting a property that you won’t want to spend as much time and money maintaining it, so real estate agents need to be mindful of the maintenance requirements specific to a property. If you are managing a property that has large trees on it there are a few things you need to be mindful of. Without regular tree pruning and tree maintenance, large trees will shed a lot of leaves, if these leaves are not cleaned up regularly you may experience bigger problems as time goes on. Leaves can cover your grass and plants and trap the light from reaching them, so you might start to notice some unsightly bald patches in your client’s once beautiful garden. Without regular tree pruning, your tree is liable to shed leaves into the property’s guttering. Your guttering is your line of defence against the elements. In a big downpour we’ve all seen those homes where the water pours off the roof into one area, but do we consider the damage this can do? Water can pool around the house and in to the foundations, this in time will cause damage and rotting, and result in an unhappy client. Your tree maintenance also prevents the leaves from clogging up your guttering and causing damage to the roof, resulting in costly roof repairs. An insurer will also reject a claim for rot and rust should your gutters be blocked. As a real estate agent, if you leave this too long it can compromise the roof structure and your client will be liable. It’s also important to mention in our sub-tropical climate, should your gutters be clogged it can pose a serious fire risk. Whilst you might see tree pruning and tree maintenance as an unnecessary cost, should you neglect to do it you might find your client facing a lot of unnecessary repair costs. When you don’t factor in regular tree maintenance and tree pruning to the properties you manage your tenants may not be happy with the unsightly appearance of all the leaves. Especially during storm season, dead wood and wet leaves can drop and become a hazard. Tenants can quite rightly complain about the safety of the property should you not have untaken adequate tree maintenance. Neighbours that are victim to the lack of tree pruning and tree lopping may also invoice you for their share of the clean-up of leaves, dead-wood and any damage caused. Rental properties that have trees are not as desirable due to all the associated issues, in some cases you might need to consider tree removal. This is something we can consult on should trees become a safety hazard on the properties you are managing. Real Estate agents should not give arborists the chop!